Although they can be collected like traditional trading cards, 2011 Panini Adrenalyn XL Football cards also have a more practical use. They're meant to be played with. Adrenalyn XL match-ups can be done face-to-face or collectors can use codes to build their virtual collection and play online. 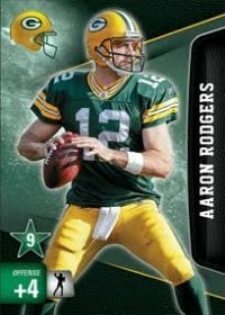 2011 Panini Adrenalyn XL Football is a 448-card expansion that can be added to last year's cards. The checklist includes base cards of ten players from each team plus additional foil Special, Extra, Extra Signature and Ultimate chase cards. Returning collectible card game that is easy to learn and play. Every pack has at least one foil card.